Other artists may come and go, but the prolific Ani DiFranco goes right on spinning her staccato, stream-of-consciousness songs. The feminist icon, social activist and fiercely independent songwriter is beloved for the songs that made her a cult star in the '90s, but she continues to churn out excellent new material, as evidenced on her new album, Allergic to Water. 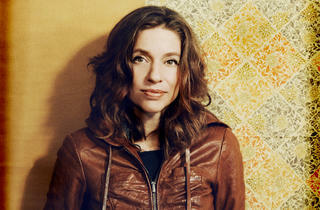 Hear her smart spin on American folk and alt-rock at the Orpheum.